PETA India raised the concern through a message posted on their Twitter page on Monday. 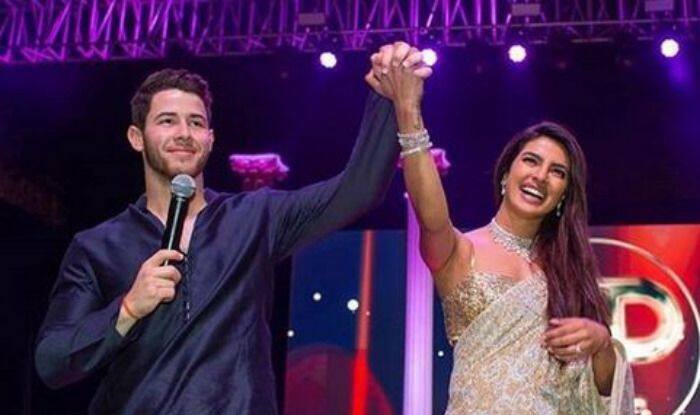 Priyanka Chopra and Nick Jonas had garnered much attention when they started dating and so did their engagement, their pre-wedding parties and finally their marriage, which had taken place in Jodhpur. Everything had gone off without a hitch, that is until they burst crackers on their wedding day and were slammed by social media users. Now, animal rights organisation, PETA, has accused them of animal cruelty. PETA India posted a message on Twitter on Monday, a day after the two married in a traditional Hindu ceremony, raising concern about the use of a horse and an elephant at their nuptials. “Dear Priyanka Chopra and Nick Jonas, elephants for weddings live in chains and horses are controlled with whips, spiked bits. People are rejecting elephant rides and having horse-free weddings. Congrats, but we regret it was not a happy day for animals,” PETA wrote. The post by People for Ethical Treatment of Animals (PETA) was backed by a video titled Band, Baaja, Brutality and showcased what horses go through when they are used at weddings. Before this, the couple had drawn the ire of social media users for the display of fireworks at their wedding on December 1. Netizens had termed it “double standards” as around Diwali this year, Priyanka, who is asthmatic herself, had urged people to follow the ‘Less pollution, more laddoos’ policy.